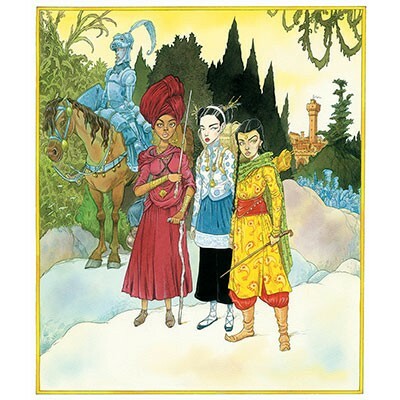 Combining the creative brilliance of Chris Riddell with J. K. Rowling’s superb storytelling, this unique, collectable edition of Beedle’s tales brings magic to life like never before. 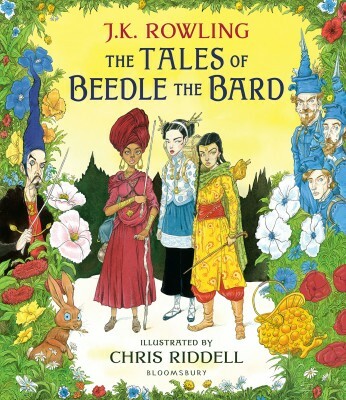 In a truly spellbinding new partnership, dazzlingly brilliant former Waterstones Children’s Laureate Chris Riddell brings his magical illustration talents to J.K. Rowling's gloriously inventive fairy tale collection, The Tales of Beedle the Bard. 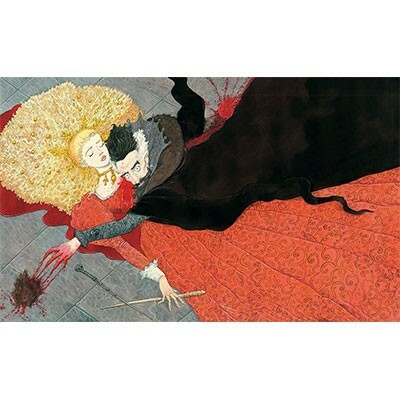 Presented in a fully illustrated new colour edition, this is an essential addition to any Harry Potter fan’s library. So begins ‘The Tale of the Three Brothers’; a fairy tale, a clue, a secret that unlocks the mysterious Deathly Hallows. 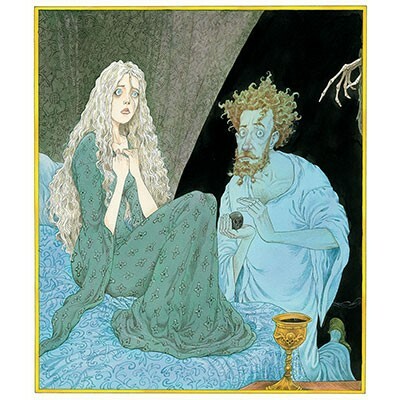 The Tales of Beedle the Bard have been favourite bedtime reading in wizarding households for generations. 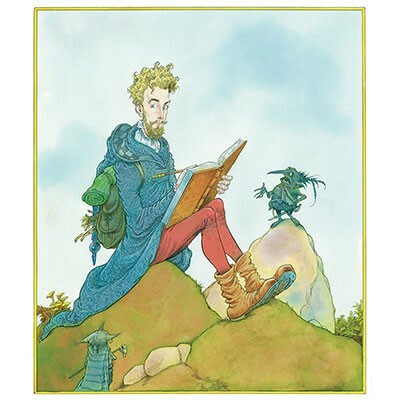 Full of magic and trickery, these classic tales both entertain and instruct, and remain as captivating to young wizards today as they were when Beedle first put quill to parchment in the fifteenth century. Translated by Hermione Granger the collection includes: 'The Tale of the Three Brothers' – which Harry Potter fans will know from Harry Potter and the Deathly Hallows - 'The Fountain of Fair Fortune', 'The Warlock's Hairy Heart', 'The Wizard and the Hopping Pot' and 'Babbitty Rabbitty and her Cackling Stump' complete the collection. 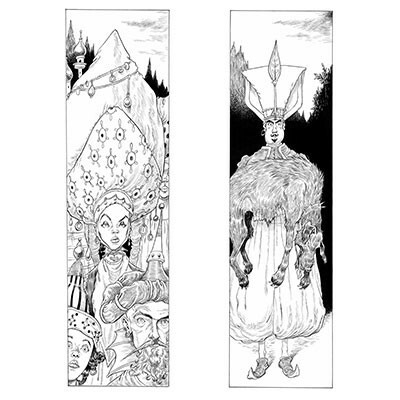 In the tradition of all great fables and fairy tales kindnesses are rewarded and selfishness shown to be the ruin of many a wizard. 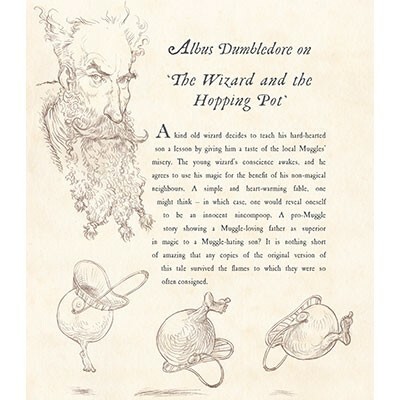 These narrative gems are accompanied by explanatory notes by Professor Albus Dumbledore (included by kind permission of the Hogwarts Headmaster's archive). 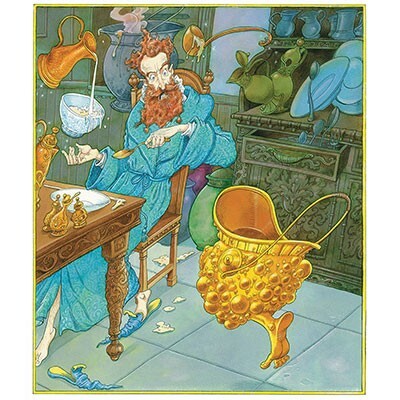 His illuminating thoughts reveal the stories to be much more than just simple moral tales, and are sure to make Babbitty Rabbitty and the slug-belching Hopping Pot as familiar to Muggles as Snow White and Cinderella. Former Waterstones Children's Laureate Chris Riddell is the only illustrator to have won the Kate Greenaway Medal three times, and is brought together here for the first time with one of the world's best loved storytellers in this new edition of J.K. Rowling's fairy tale classic. This beautifully illustrated edition is set to become a firm favourite at bedtime in non-magical households the world over. The Tales of Beedle the Bard is published in aid of the Lumos, an international children's charity founded in 2005 by J.K Rowling. Lumos is dedicated ending the institutionalisation of children, a harmful practice that affects the lives of up to eight million disadvantaged children around the world.